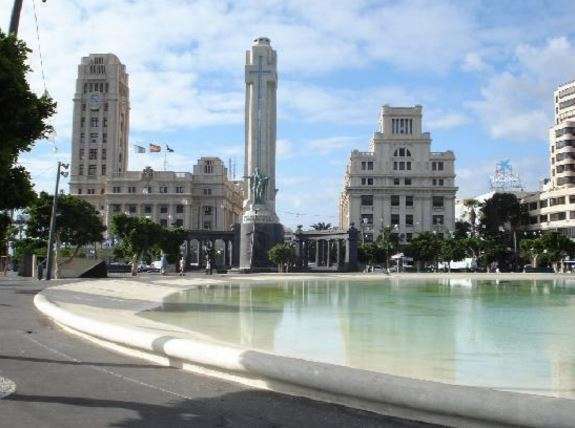 Tenerife is the best known of the Canary Islands, mostly for its warm climate, even in the winter, its golden sandy beaches, luxuruous resorts and its exuberant nightlife . To be honest, this is not what we are looking for, exept for the warm climate. 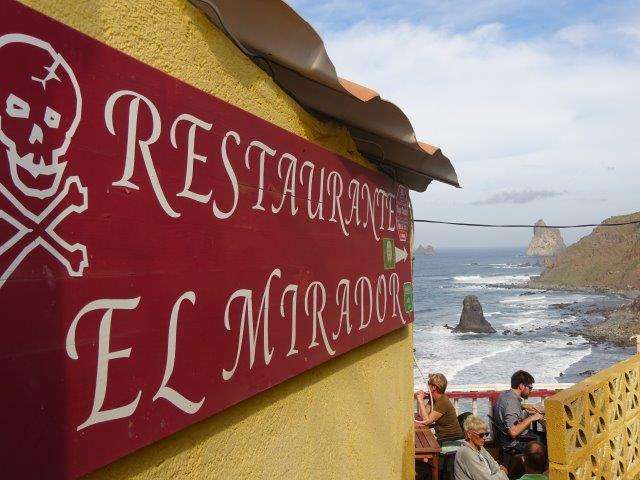 When we first visited the islandin 2010, we just got up the Teide, where we spent two nights in the Parador and continued to La Gomera, the smaller island close to Tenerife, to spend the rest of the week. 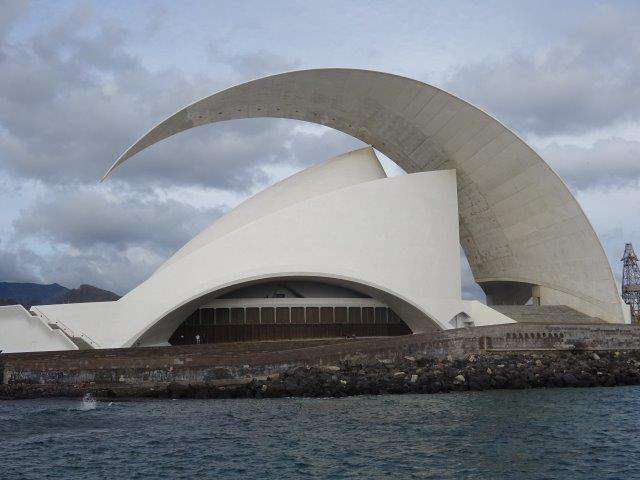 Our activity as 'travel agency' forced us to visit Tenerife again as we needed a new winter destination after previous visits to Lanzarote, Madeira and Gran Canaria. We did stay in a luxuruous resort in Costa Adeje, but with only a few exceptions, we ignored the southern part of the island. The island is small enough and more important, the roads are good enough, to explore the island from there. Although the northern part of the island has the reputation of being 'wetter', this proved to be not as bad, even in January. 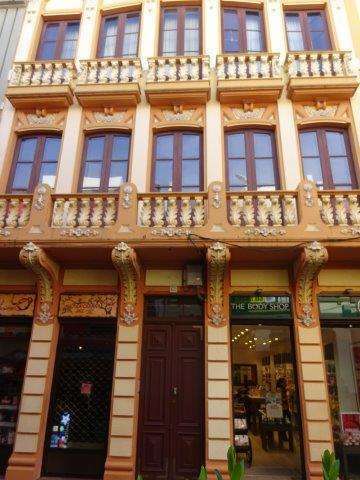 We discovered lots of hidden gems, which were fully appreciated by the clients of our group. 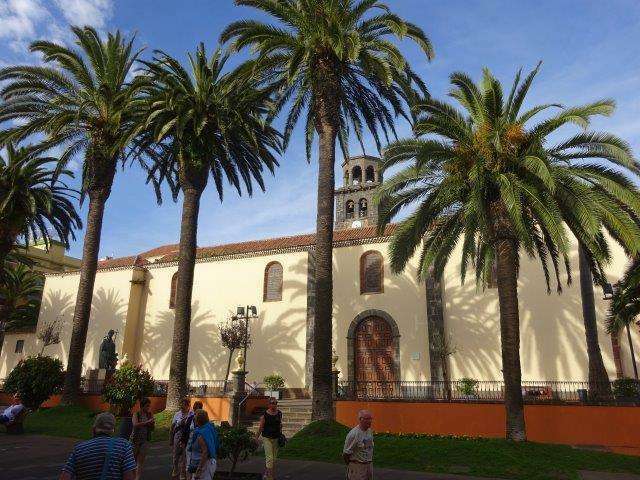 Even those who had already visited Tenerife 2 or 3 times were astonished by what they saw : a green island in the north, beautiful cities from the colonial era as Garachico, La Laguna and La Orotava and wild beaches as Benijo and Las Teresitas. On our website, we present a brief introduction with few text and a lot of pictures. We hope you enjoy it. 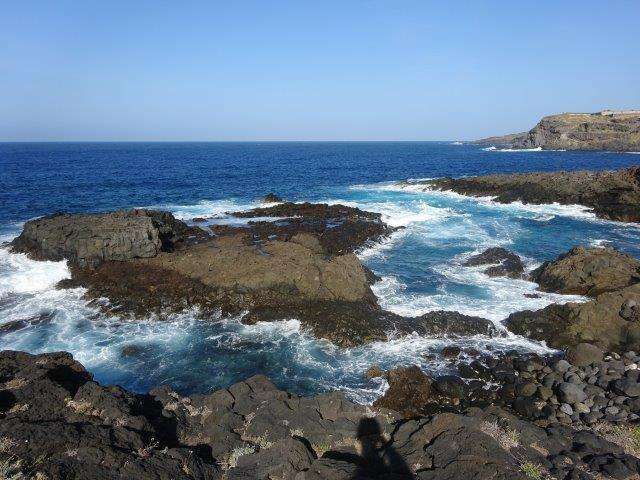 As for the walking part, we picked out the most spectacular, but even for these, you will be able to enjoy them in all tranquillity, as Tenerife is not yet the place where all hikers go. Apparently, we were not the only ones with the wrong prejudices ! 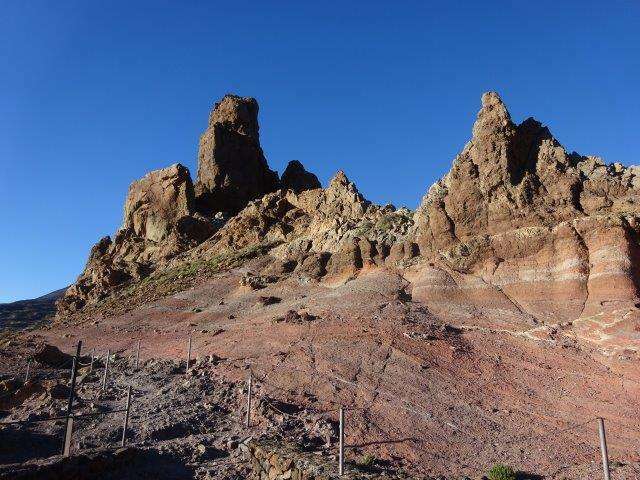 In this tour we explore the Teno Mountains, that emerged from the ocean 7 million years and are one of the oldest parts of Tenerife. The highest peaks go up to 750 metres. 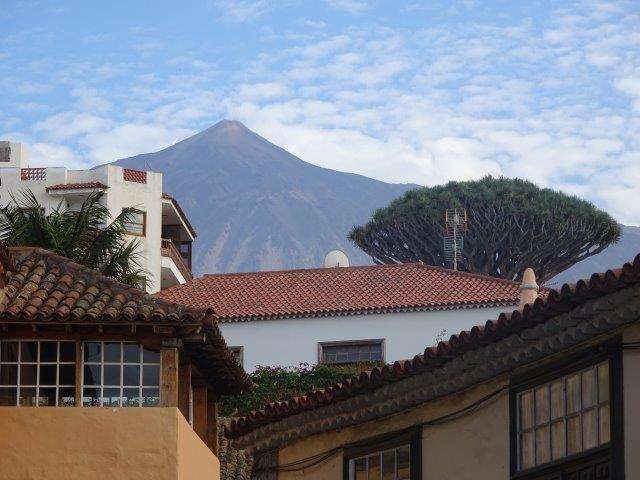 The high plateau, which was formed by eruptions of the Pico Viejo, is carved by barranco's, deep valleys that go down to the sea. 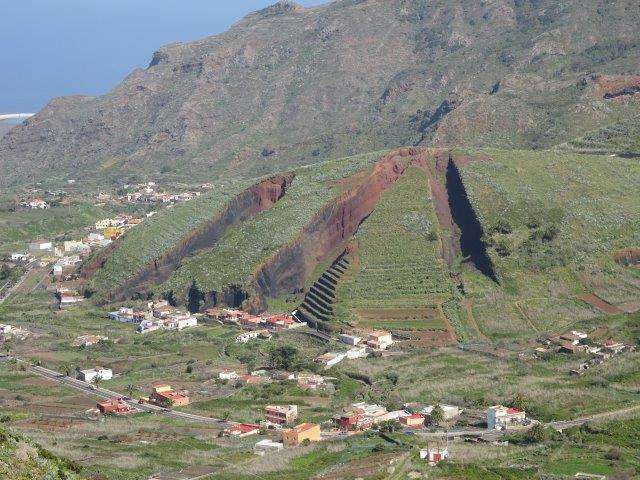 The Barranco di Masca is the most famous. 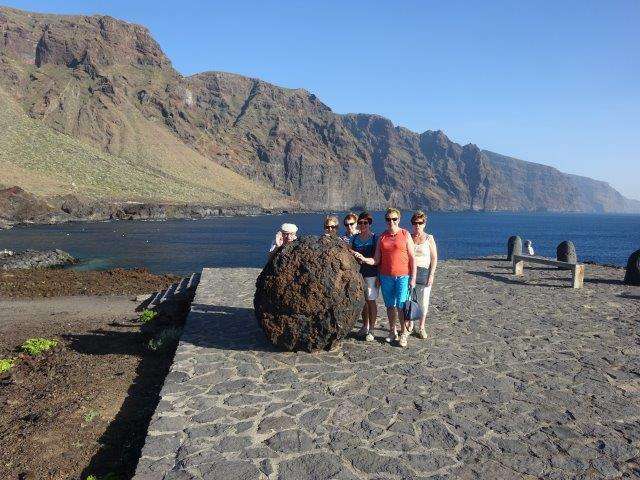 The tour will bring you to Santiago del Teide, Masca, Buenavista, Punta Teno and Los Silos. 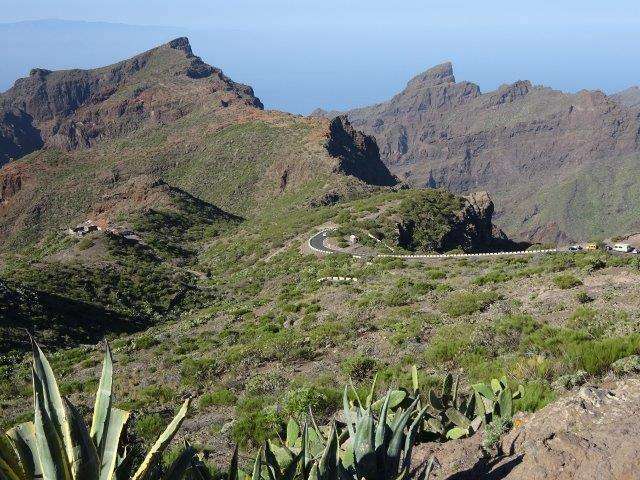 Count at least a full day to see everything on this tour, the hike in the Barranco di Masca not included. Below you find some pictures of the highlights of this tour. 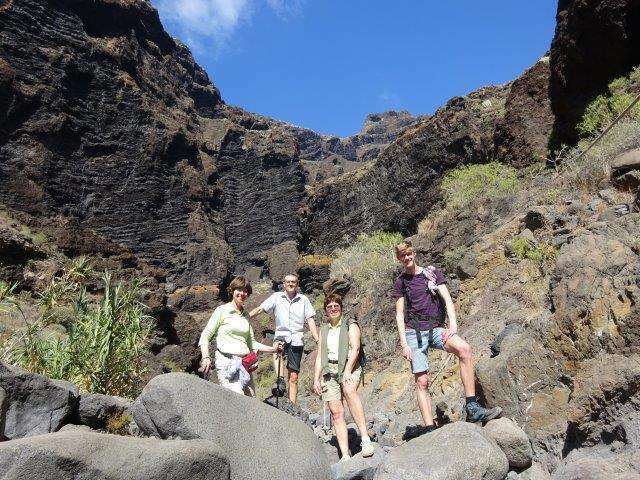 The hike in the Barranco di Masca is one of the most beautiful, though not the easiest ! You'll find some more details below. 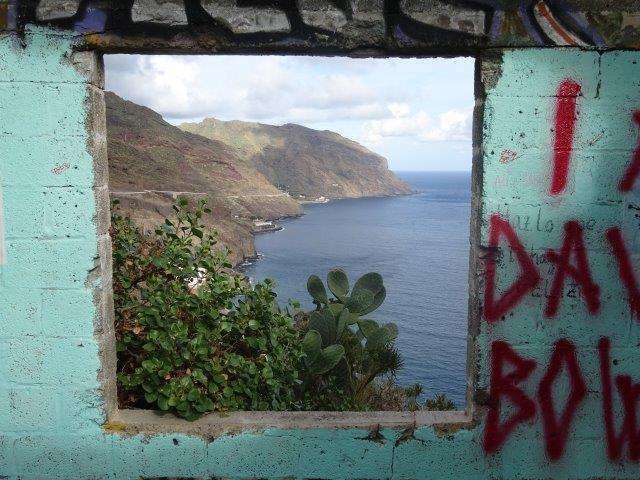 One of the many viewpoints between Masca and Buenavista. 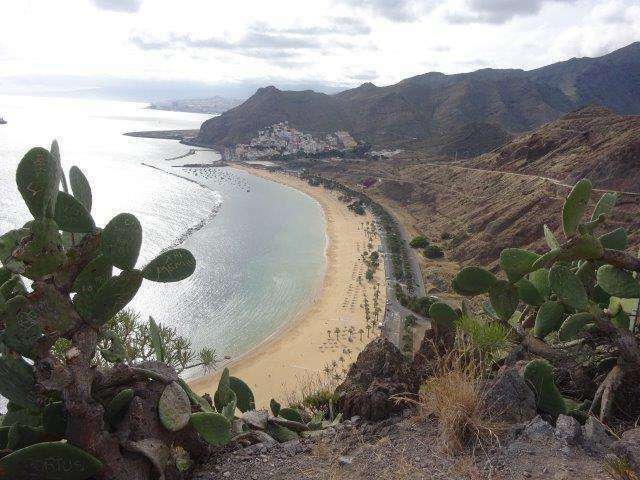 A gorgeous beach near Buenavista, including a beach bar ! 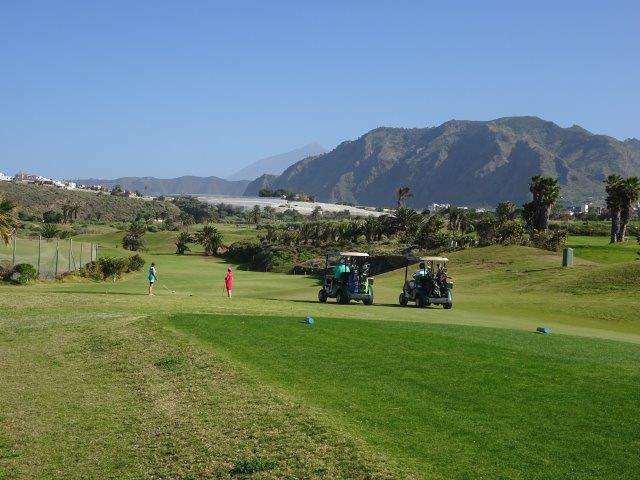 ... and the golf court, with view on the Teide. 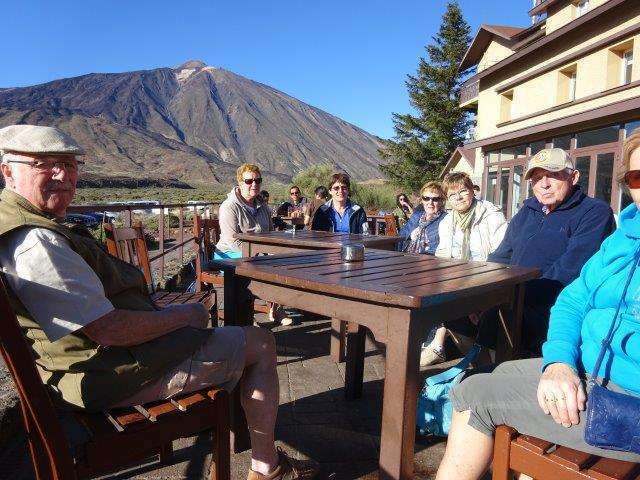 This tour explores the Anaga Mountains, one of the oldest parts of Tenerife and about 7 million years old. The peaks go up to 1.024 meter high. This peninsula, in the Norteast of the island, is a mountainous woodland, providing great panorama's and a few of the most beautiful beaches of the island. True, it is more wet then the rest of the island. Clouds often gather above this part, so watch the weather forecast to pick out a bright day. 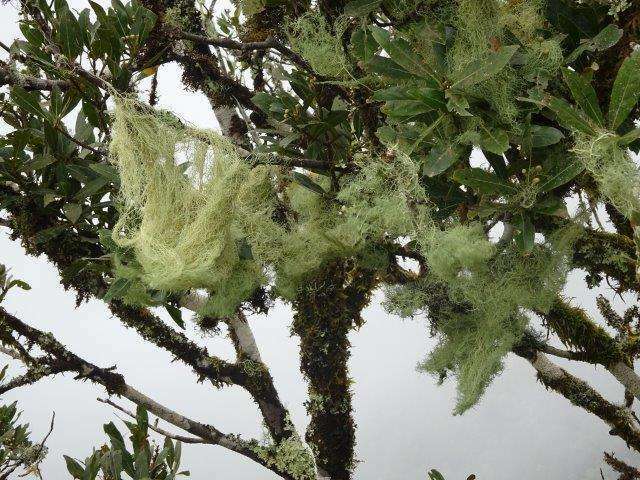 Due to the humidity, you will find a bit of rain forest here. 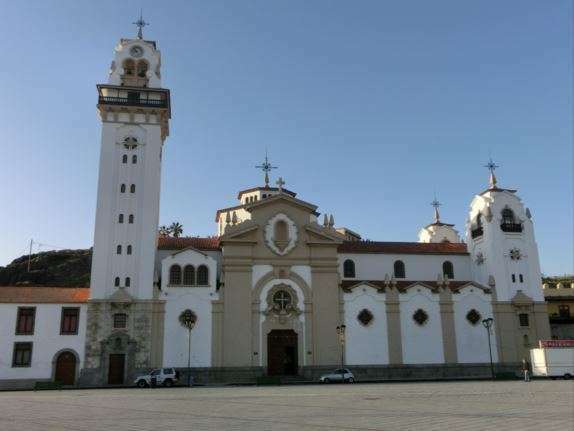 Be sure to make at least a small hike around the pico del Ingles. 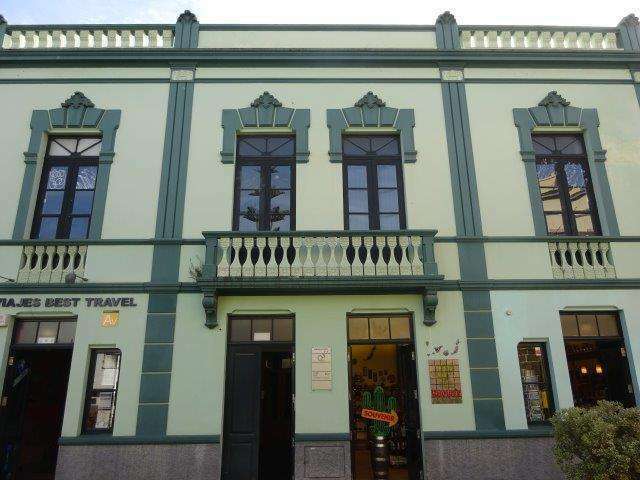 The visitor centre of Cruz del Carmen is a good place to start your tour. 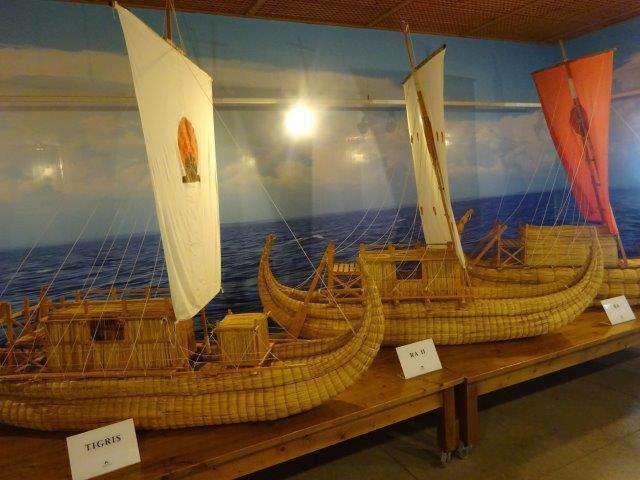 It has a small museum and offers a few small hikes. A bit further, you have the Pico del Ingles. North of the most Northeastern point lies the village of Taganana, stuck against the mountain. The coastline is rocky. 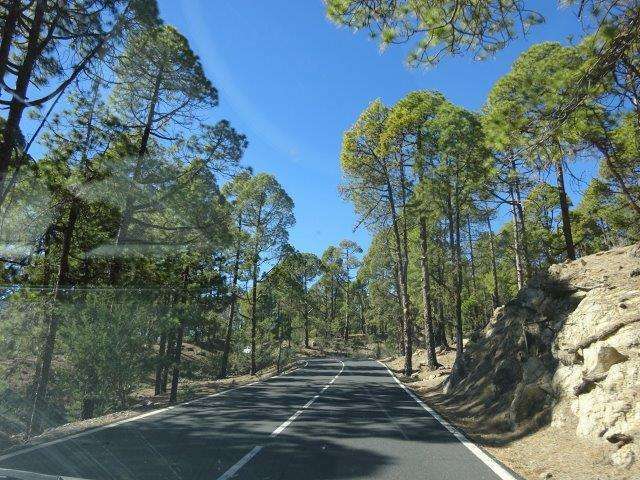 For the best view, you need to drive a few kilometers further, as far as Benijo. There you will find a few restaurants 'with a view'. 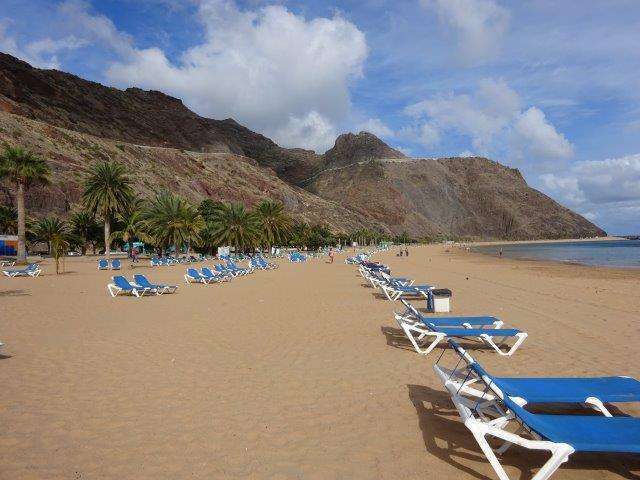 The Playa de las Teresitas is in the top-10 of the most beautiful beaches of Tenerife, and it really deserves it. However, they have been cheating, as the yellow sand was imprted ... straight from the Sahara. The beachlover will not mind, the photographer neither, so everybody happy. 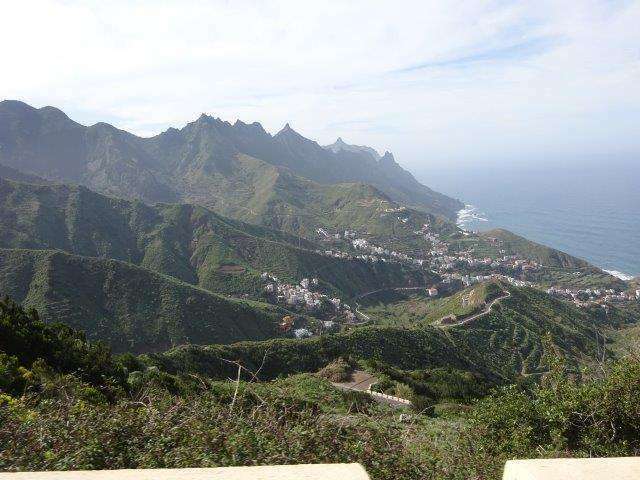 For us, the best part is the view from Punta de los Organos. 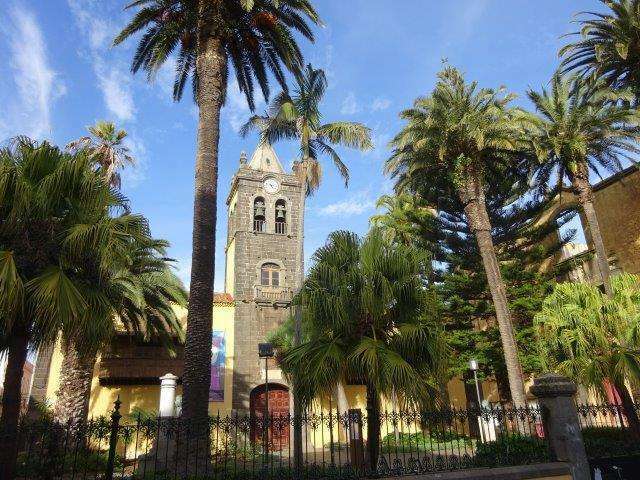 La Laguna is on the list of World Heritage of the UNESCO. It is a colourful city, for which you need at least half a day. But don't schedule your visit on a monday, whe everything is closed. 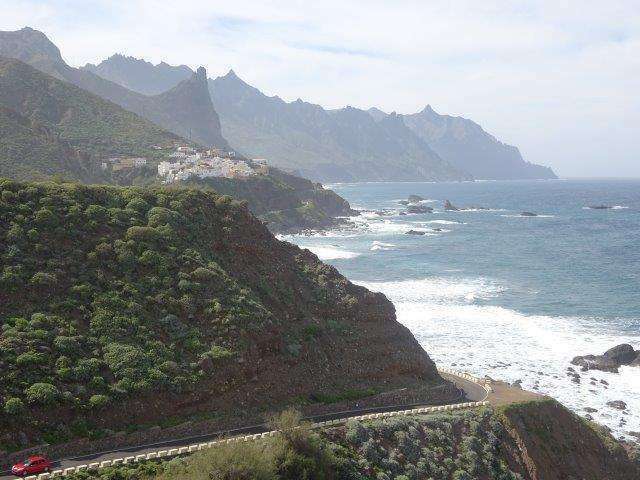 This tour explores the North coast of Tenerife along the coastal road from Garachico to Icod de los Vinos, Puerto Cruz to La Orotava and back through the mountains via Realejo Alto en Icod el Alto. We did it in one day, but if you want to include some visits, you need to count at least 2 or 3 days. 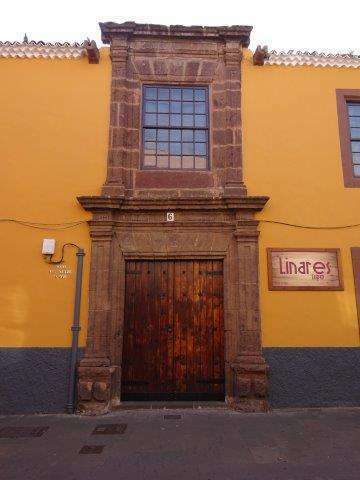 If you visit Tenerife for its cultural heritage, you may even think to book a room up north. 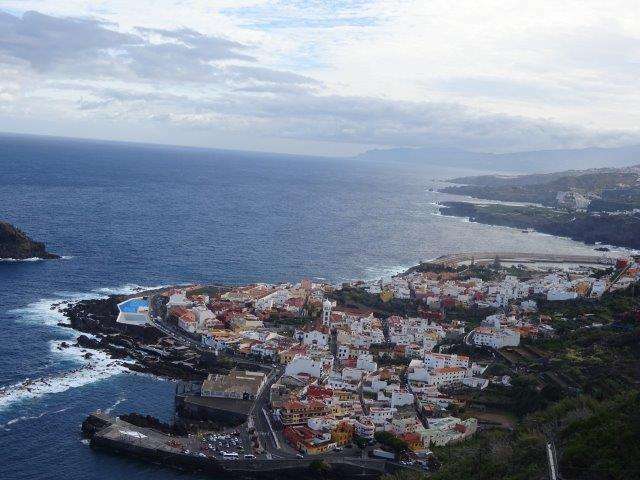 Once upon a time, Garachico was the biggest harbour of Tenerife. 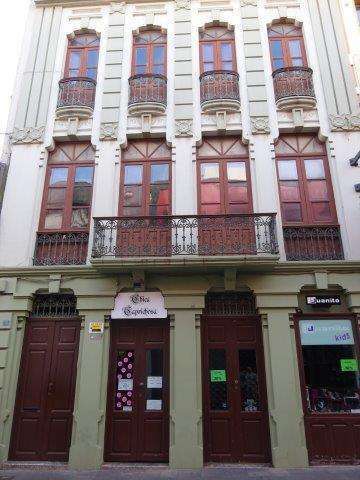 The city experienced a peak in the 16th century, thanks to the trade with Spain. In the beginning of the 17th century, the city was struck by the plague. In 1645 it was hit by a tsunami and in 1692 and 1697 by a fire. 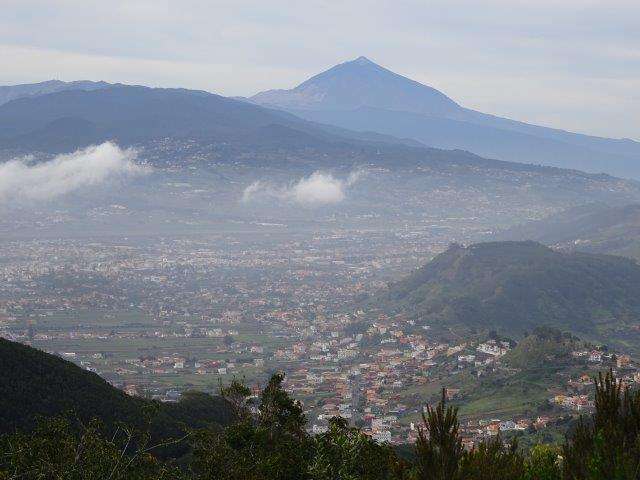 But the worst was yet to come : in 1706 the Teide erupted. 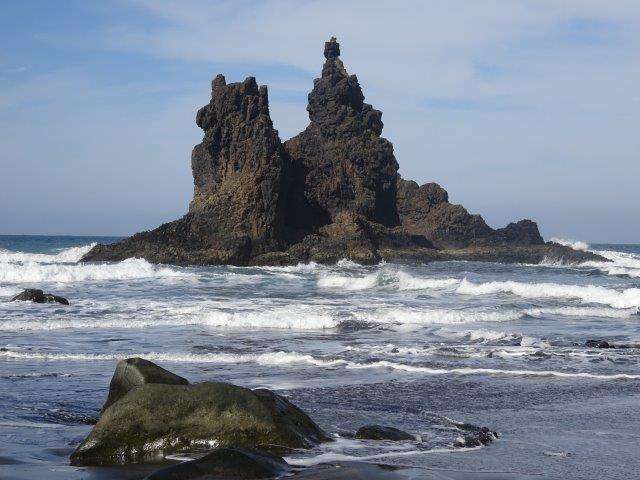 Garachico was flooded by two lava streams, which completed filled the bay and made an end to the trade activities. The new city was later rebuilt on the new ‘lava-grounds’. 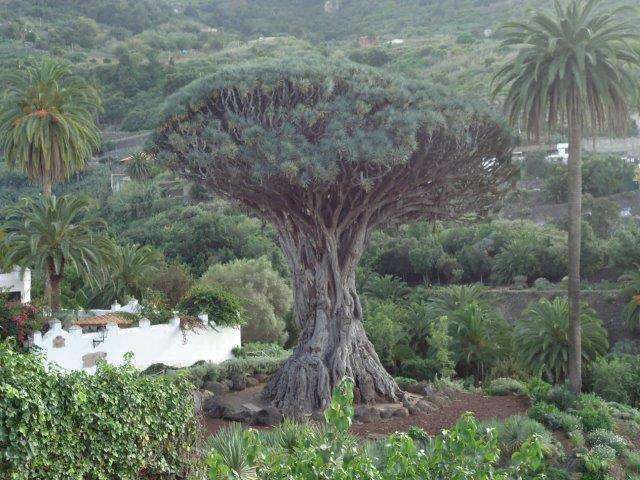 This village is most because of its dragon tree, for which the estimations of its age vary between 600 and 3000 years. 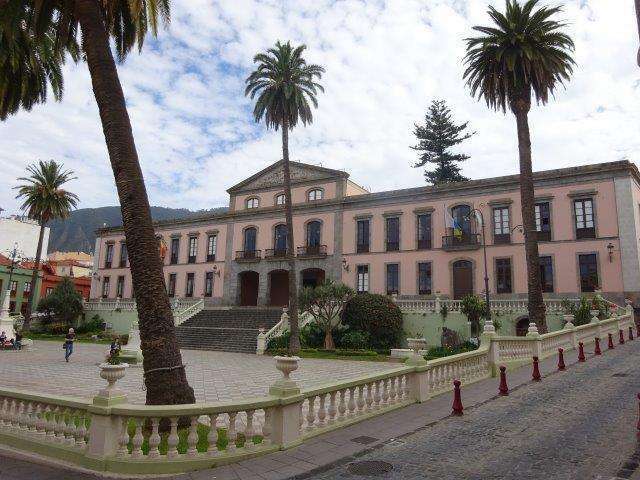 La Orotava lies on a hillside. 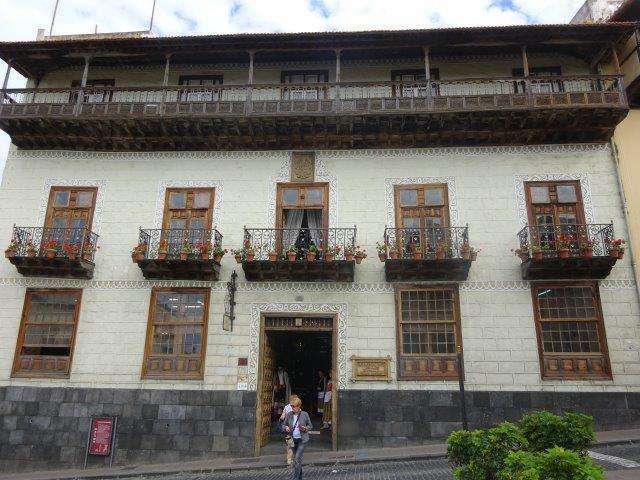 The lowest part of the city lies at a height of 250 meter, the Casa de los Balcones, in the upper part of the city, lies at 400 meter. Be sure to put on your walking shoes ! 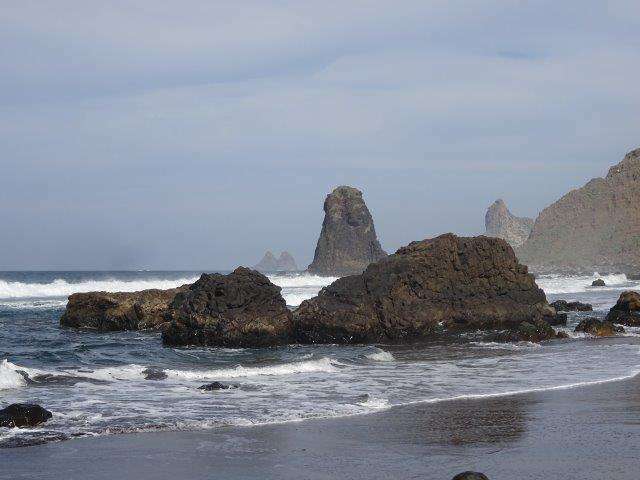 The East Coast of Tenerife has only few things to offer. Driving North from the airport, along the TF-1, the scenery is monotonous and is spoiled here and there by large industries (these have to be somewhere). As you approach Guïmar, there are some things for which you can leave the highway. 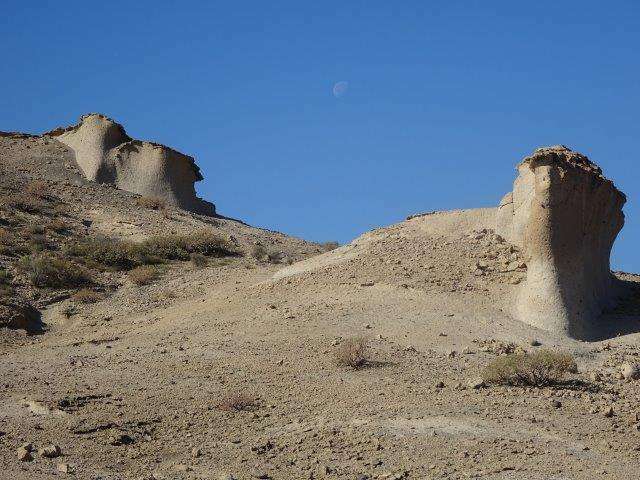 The main reason for a stop in his town, 30 kilometers south of Santa Cruz, are the pyramids, which were 'discovered' at the end of the previous century. Amongst scientists, there is no consensus about the origin of the pyramids. According to some, they are just piles of stones, that were left by farmers while working in the fields. For others, they go back to the original inhabitants of the islands and they have links with ancient cultures in Egypt and Mexico. 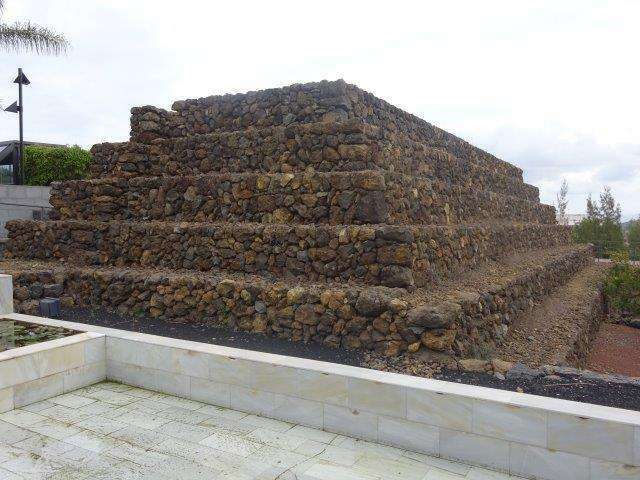 No matter who is right, the museum and the site tell an interesting story and are certainly worth a visit. . 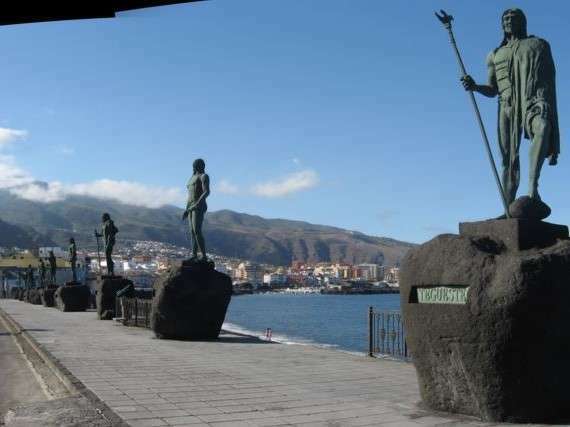 In Candelaria there are 2 good reasons for a stop : the basilica and the 9 statues of Guanche-fighters. 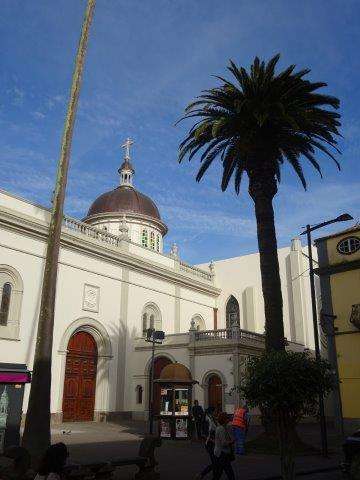 Santa Cruz is the capital of Tenerife. There's much more to see than what we show below. 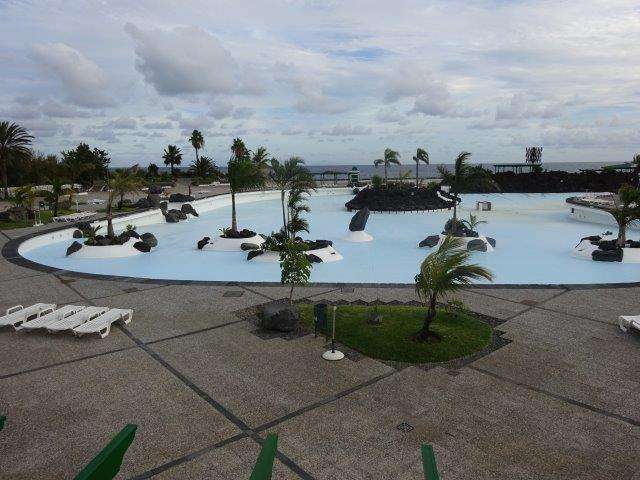 The big tourist resorts lie in the South of Tenerife. 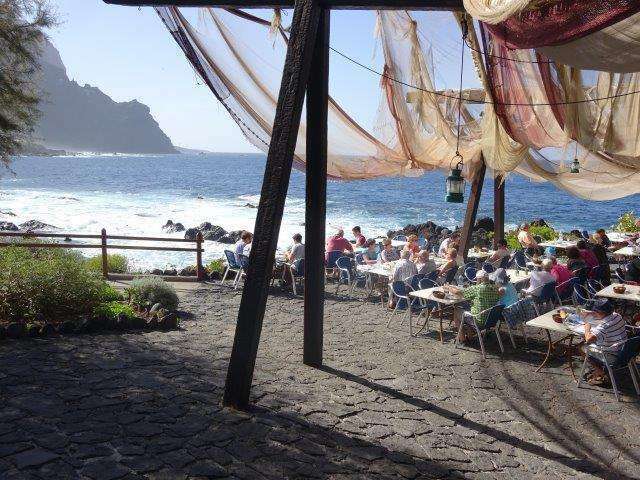 The oldest are close to the airport, but as from the eighties they are located more to the west : Los Christianos, Playa de las Americas and Adeje are now the most popular resorts. Other than the beaches, you should make a stop in the Reserva San Blas (be sure to reserve tickets online long before you visit). 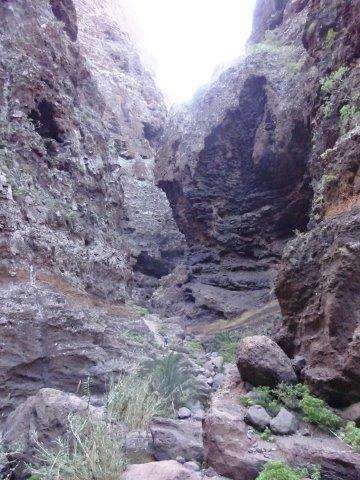 You can also make an easy hike in El Medano and in the Barranco del Infierno (see below). 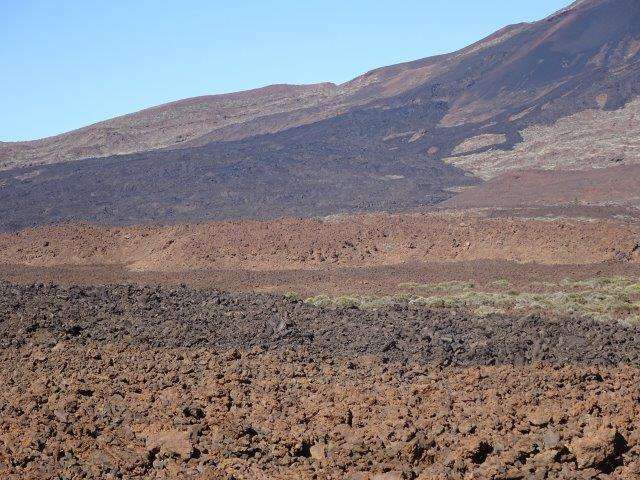 De Teide vormt letterlijk en misschien ook wel figuurlijk het hoogtepunt van Tenerife. 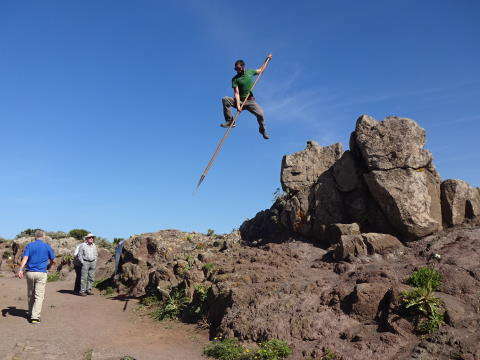 Deze ‘actieve’ vulkaan heeft een hoogte van 3718 meter en is niet alleen van op het eiland zelf, maar ook vanaf de naburige eilanden La Gomera, La Palma en Gran Canaria zichtbaar. 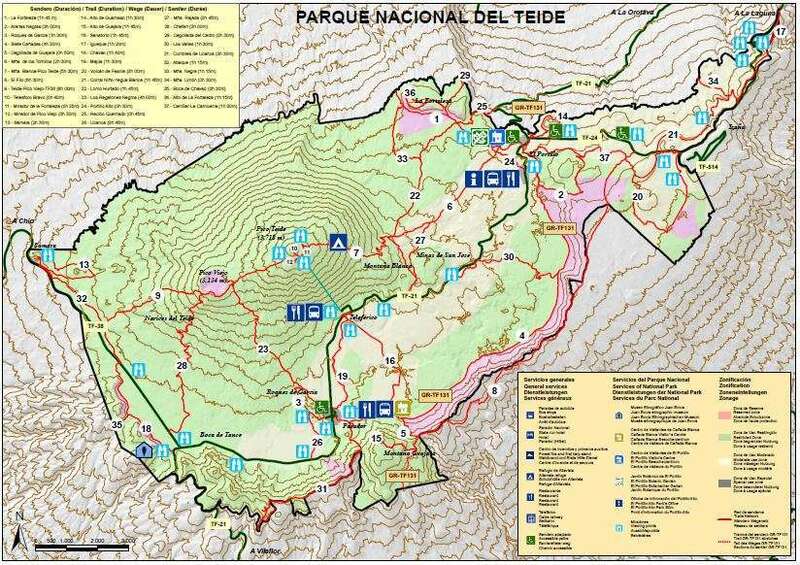 In the National Park of the Teide you will find an extended network of trails. The map below just gives a first view. 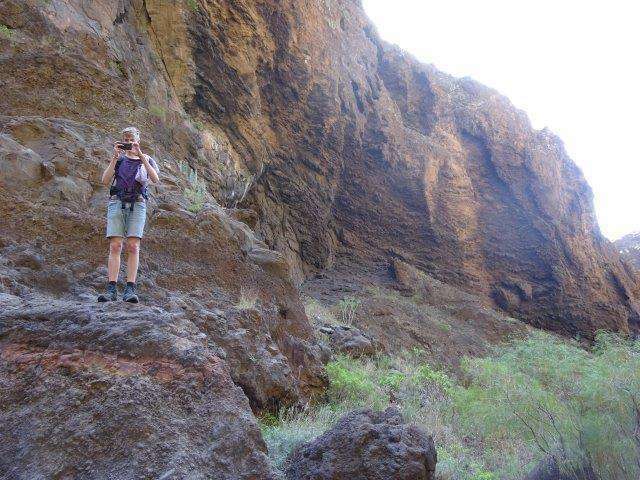 This hike in the Masca Barranco cannot be missed if you are an experienced hiker. 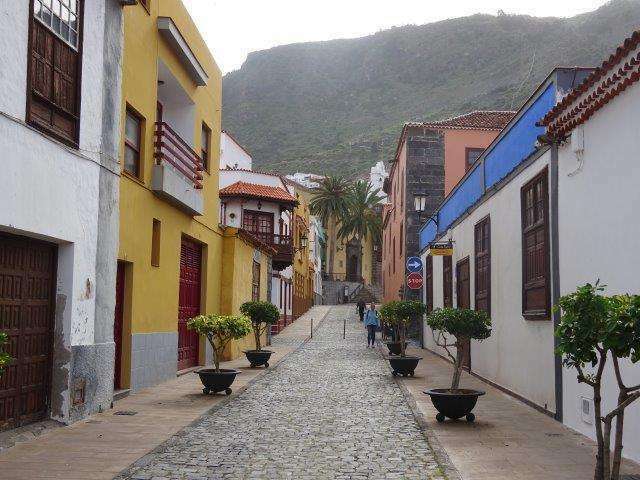 The hike starts in Masca (be sure to arrive early, otherwise it will be difficult to park the car). There is no signage on the trail, but you do not need any either. There's no sideways at all. Once in a while you will see numbers on the rocks, which go from 1 to 56, so you'll have an idea how far you have to go. The hike starts with a steep descent, partly stairs. 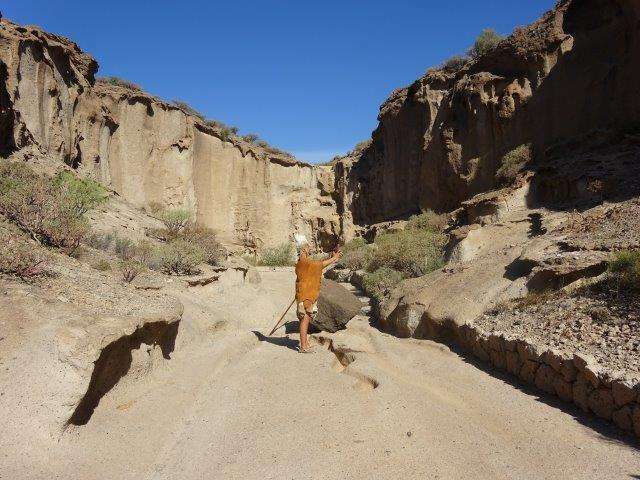 After a while, the barranco gets narrower, the walls rise vertically up. The path is going through bed over loose sontes. At some places the path is blocked by fallen stones, but there's always a detour. The path keeps bending for some time, it seems endless. At the end, you start hearing the noise of the waves. Look back where you came from and you'll get a great spectacle ! Duration : count between 2 and 4 hours, depending on your condition. You do not necessarily have to get up again. 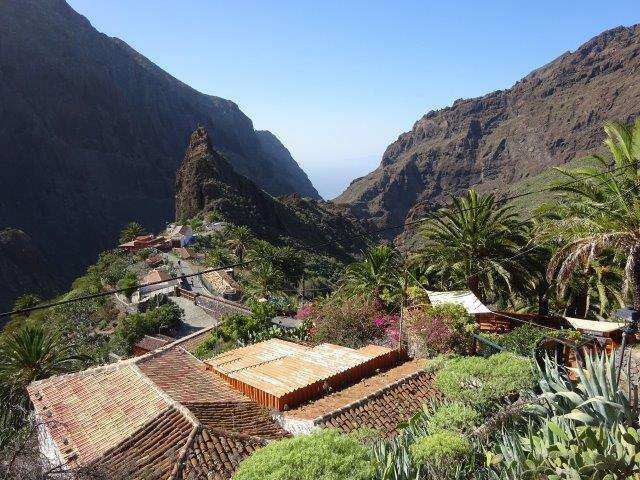 Coming down, you are welcomed by some friendly people, who offer you to take the boat to Masca. They don't insist. As there are no competitors and as many people do not have the courage to go up, they are sure to have clients. The boat costs 10 EUR to Los Gigantes, where taxi's are waiting to take you back to Masca (price unknown, as we did walk back up to Masca). 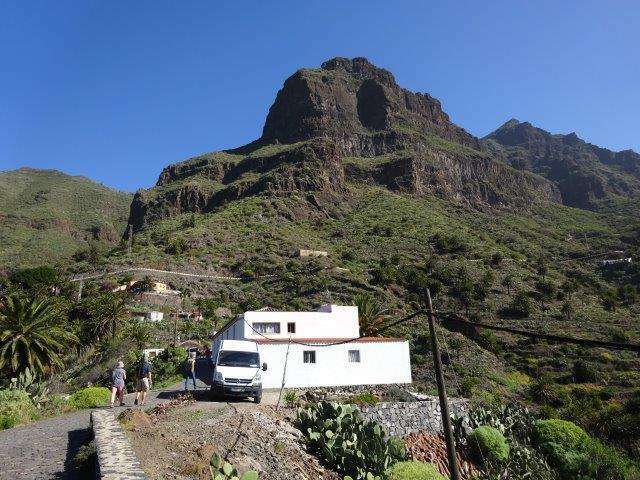 Alternatively, you can also take the TITSA-bus from Los Gigantes to Masca. 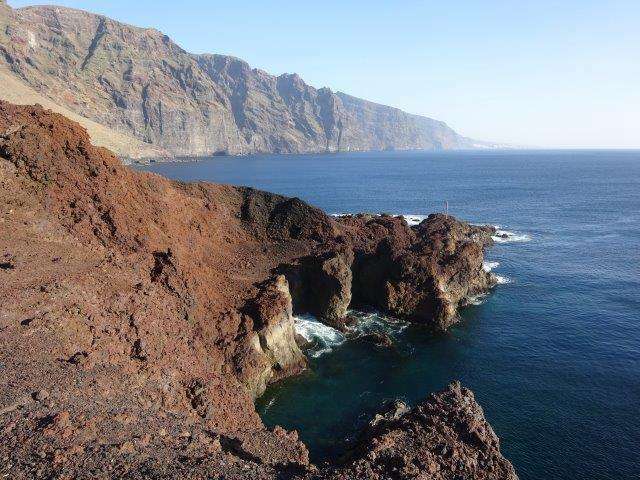 Be aware : with rough weather, there are no boats between Masca and Los Gigantes ! Due to risk of falling stones, the hike in the Masca Gorge is not recommended anyway when the weather is bad. 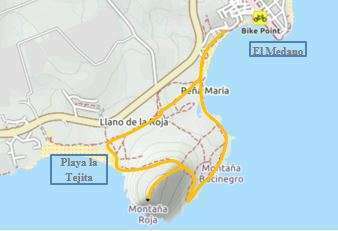 The map below shows a few alternatives for a walk, starting from Masca. 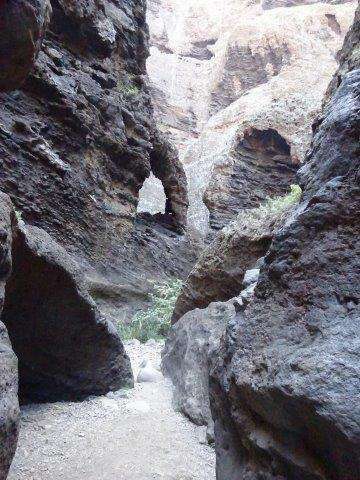 The Barranco del Infierno lies in the vicinity of Adeje. This Barranco (valley) has been closed for a long time, so you'll find a lot of rubbish information on the internet. 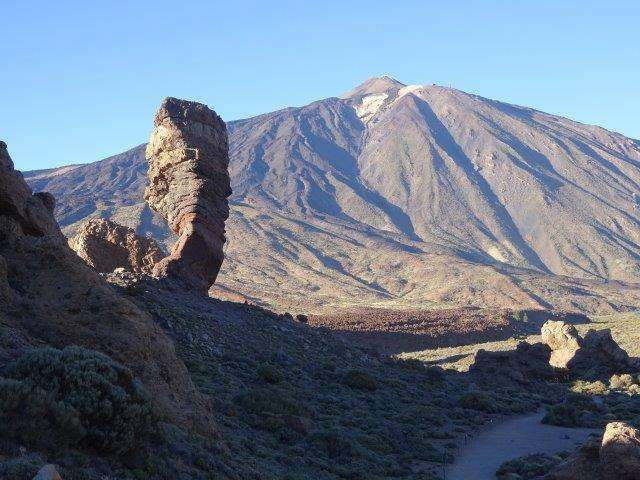 Since 2015, the trail is open again and you can make one of the most beautiful walks on Tenerife. The access is limited to 300 persons per day. They can start between 8 and 14.30 hours. The trail is 6.5 km long and takes about 3hours. Adults pay 8 EUR, children 4 EUR. 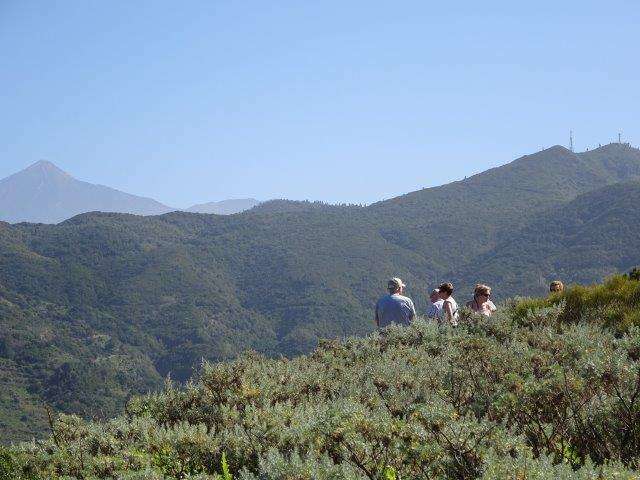 From monday to friday, you can book a guided walk at 9.30 AM (price : 15 EUR). This is mentioned on the website, but you cannot make a reservation on the website. 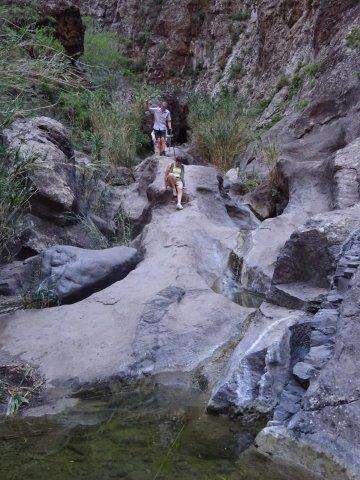 The trail passes several views, an old mill, goes through the riverbed, a narrow gorge and ends at a waterfall. 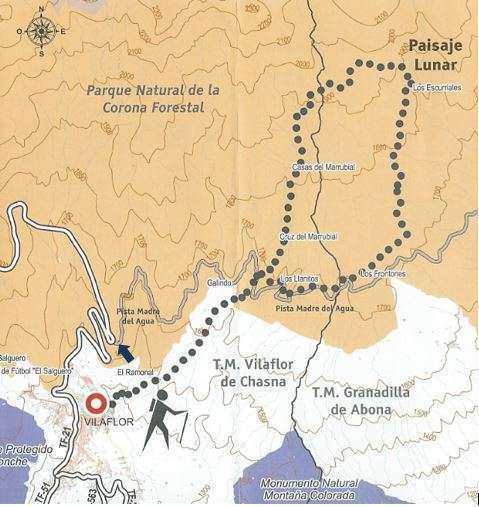 This trail starts in Vilaflor, at a height of 1.400 meter and begins with a steep climb to Los Llanitos. 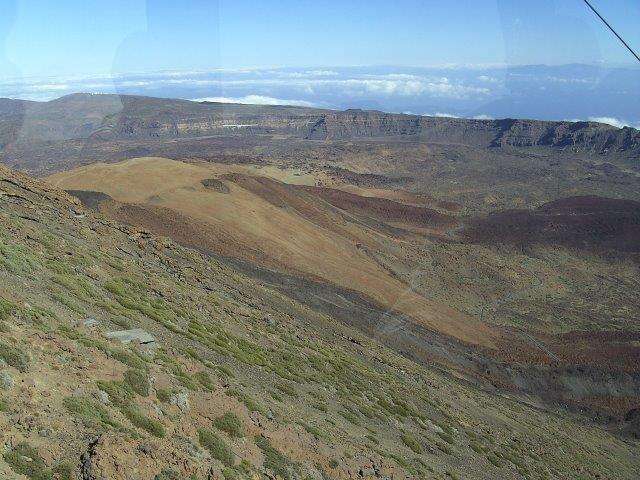 There starts a circular trail that bring you to the lunar landscape (Paisaje Lunar), at a height of almost 2.000 meter. The landscape reminds of Cappadocia. You can shorten the hike by starting from the TF-21, in one of the hairpin bends (see the arrow on the map below). 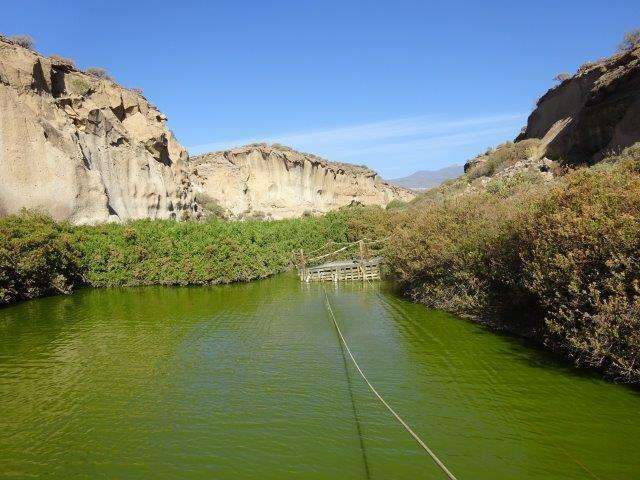 Via the pista Madre del Agua, you end up at Los Llanitos, without too much of a climb. The total length of this trail is 12.9 km, with a height difference of 778 meter. Our shortened version gives you a benefit of 4 km in length and 200 meter in height difference. 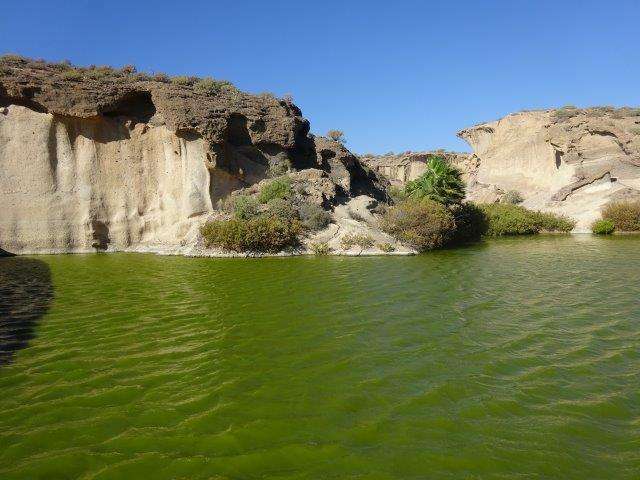 If you visit the Reserva San Blas, continue along the TF-643 to get in El Medano. This Deze seaside resort is less touristic and more frequented by the local population. 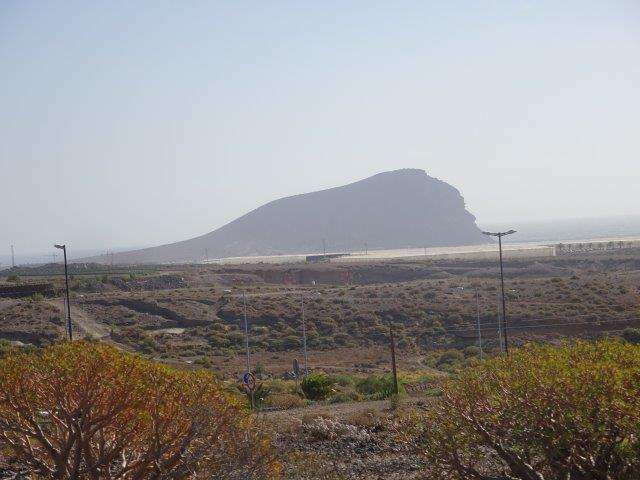 The town is dominated by the Montaña Roja, the ‘Red Mountain’, which you can also see from the airport. 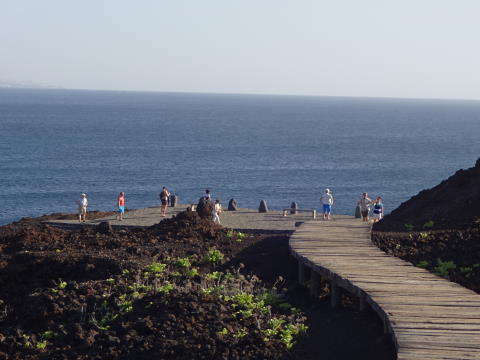 The starting point of the hike is at the Hotel Playa Sur, one of the buildings for which Cesar Manrique intervened during a restoration in 1981. There are many trails on the mountain. Stay as close to the coast as possible. Near Bocinegro, you will find the remains of an artillery post from World War II, but more a red sand beach certainly looks more attractive. 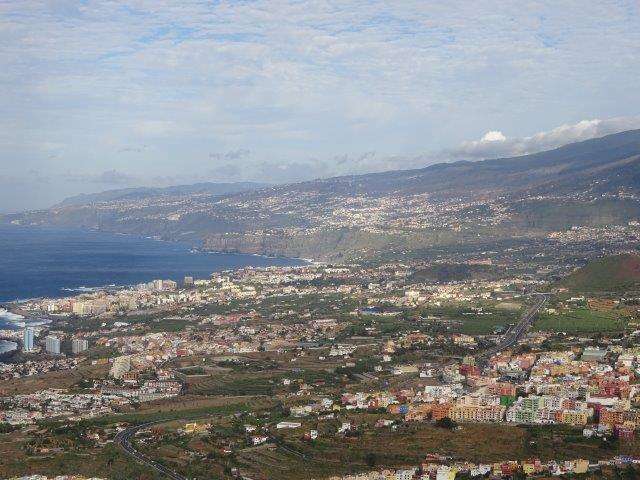 From the top of the mountain (at 170 meter) you have a good view on the whole South Coast of Tenerife. You can either go back where you came from or go down on the other side of the mountain to the golden sandbeach of La Tejita. The length of this walk is 4.1 km and is considered to be an easy walk. 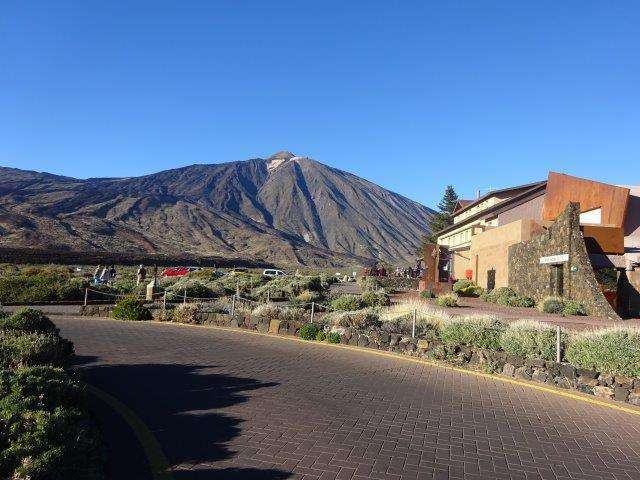 On the East Coast, you can make a walk in the neighbourhood of Guïmar, in a relatively young volcanic are, which is coming from a recent eruption from a nearby crater. 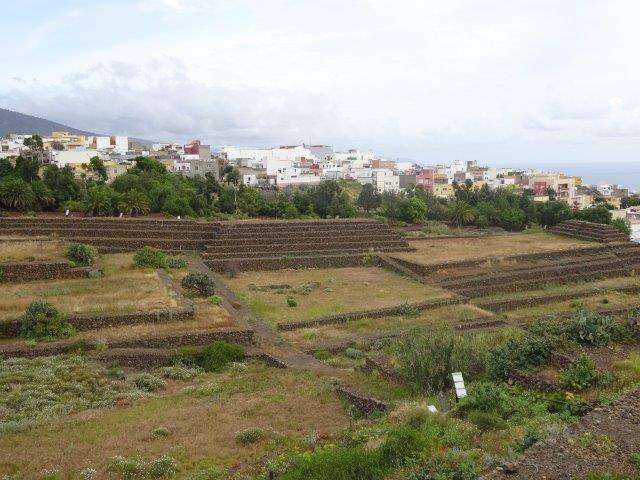 The best place to start the walk is in Puertito de Guïmar, south of the area. At the start of the trail, you will find a parking and an information panel. 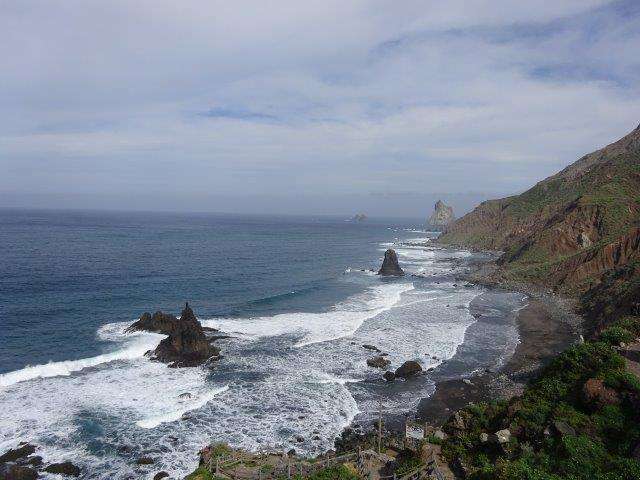 The hike to El Socorro, along the coast is 3.3 km long (one way) and only goes up to a height of 27 meter. 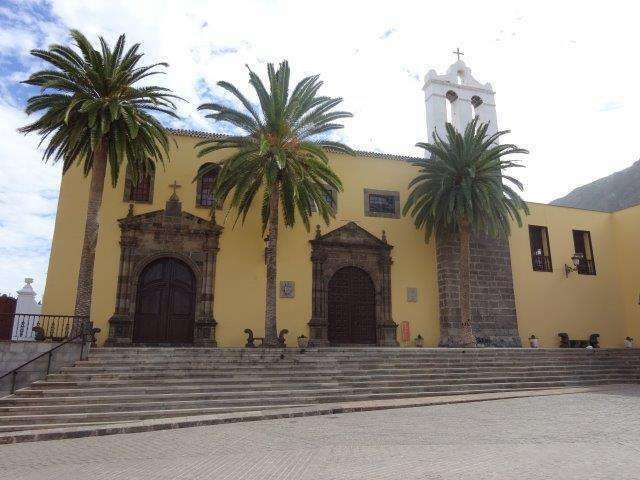 El Sorocco is said to be the place where the 'Virgin of Candelaria’ appeared to the Guanche shepherds. Yearly, there is a commemoration in September. 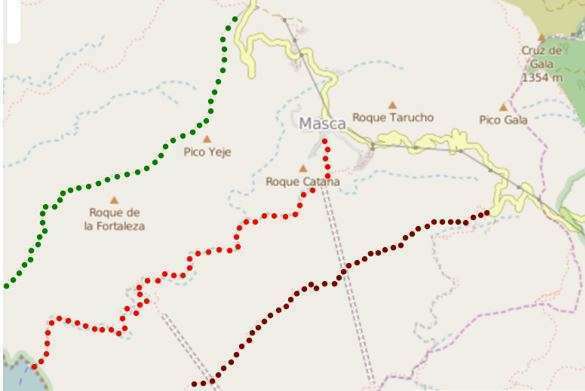 The hike that is shown in yellow on the map avove is 6 km long and up to 160 meter, on the hillside of the Montaña del Socorro (also called the Montaña Grande), which is a volcano, only 10.000 year old. So one of the youngsters in the long volcanic history of the Canaries. 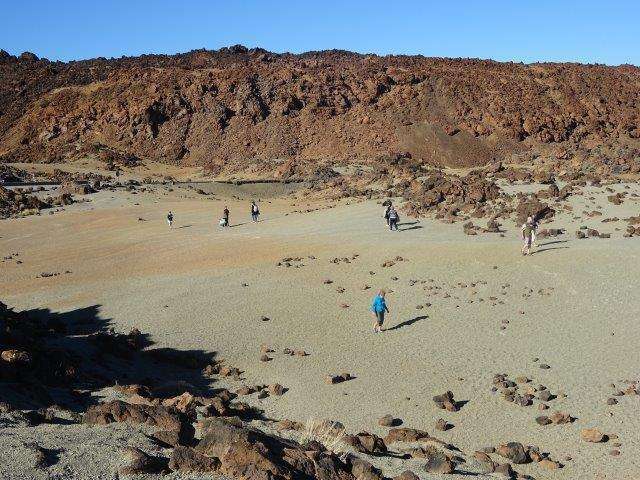 For this walk, good hiking shoes are absolutely required, as the lava surface is quite rough and still has lots of sharp edges. 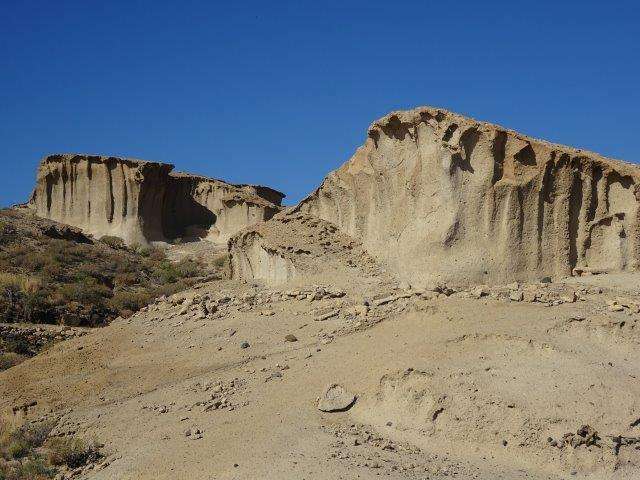 The name of the area "Malpais", meaning "Badlands", is a warning in itself. You like the information on our website ? You can do us a favour, by making your reservations starting from the form below.